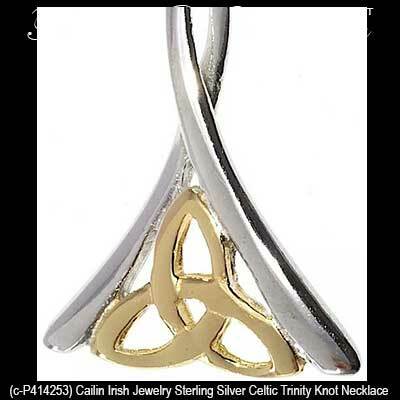 Celtic pendant features a sterling silver design that is enhanced with a gold plated Trinity knot. This sterling silver Celtic necklace features a gold plated Trinity knot and measures 5/8” wide x 1 1/4" tall, including the long chain bail that is enhanced with a twist. 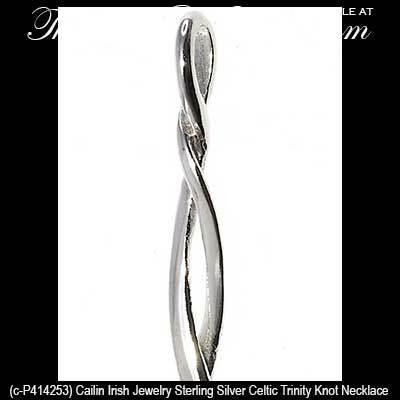 The Celtic pendant is complete with a 16” long sterling silver chain with a 2" extender. 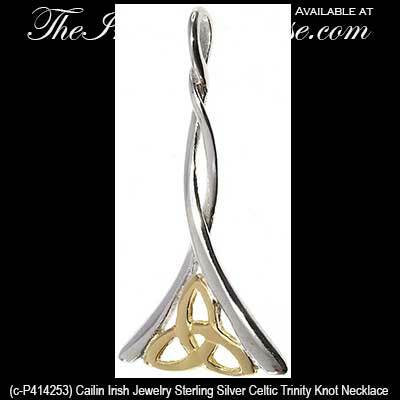 The Trinity necklace is made by Cailin Jewelry in Co. Kildare, Ireland and it is gift boxed with a Celtic knot history card, complements of The Irish Gift House. Sterling silver Celtic necklace features a gold plated Trinity knot along with two rows of CZ stones. Sterling silver Celtic necklace features a heart shaped locket that is enhanced with a gold plated Trinity knot along with crystals.